The U.S. 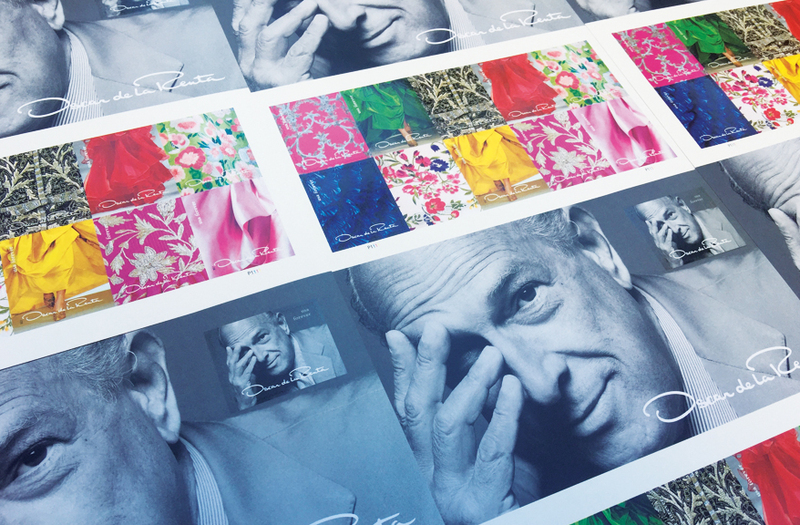 Postal Service has honored fashion icon Oscar de la Renta with a new pane of Forever stamps that went on sale nationwide starting February 16th. 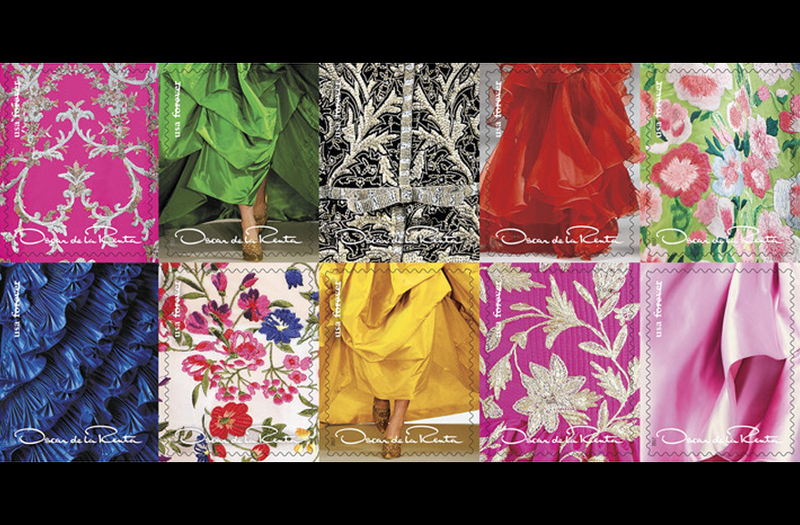 The Oscar de la Renta stamp pane includes 10 stamps featuring details of some of the iconic designer's most exquisite gowns. “Our family and our company are profoundly honored that the U.S. 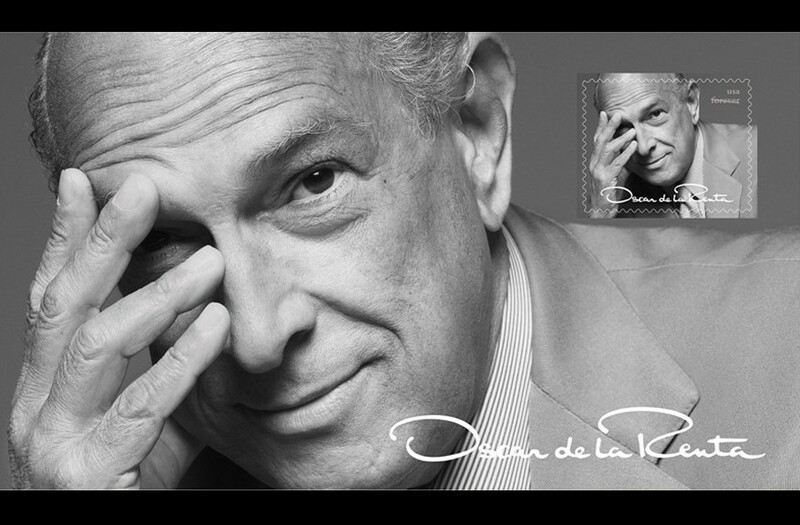 Postal Service has chosen to memorialize Oscar de la Renta’s life and work with this series of beautiful stamps,” said Alexander Bolen, chief executive officer, Oscar de la Renta LLC. The stamps were issued during the First Day of Issue Ceremony at Vanderbilt Hall in Grand Central Terminal. Attending were Secretary Hillary Clinton; Michael R. Bloomberg, founder, Bloomberg LP and Bloomberg Philanthropies and 108th Mayor of the City of New York; Alexander Bolen, chief executive officer, Oscar de la Renta LLC; Anna Wintour, artistic director of Condé Nast and editor in chief of Vogue; and Anderson Cooper, journalist and author. Also attending were Sarah Frank, Textile Designer / Consultant (left) and Maruchi Santana, member of the US Postal Service Citizen Stamps Advisory Committee (CSAC). 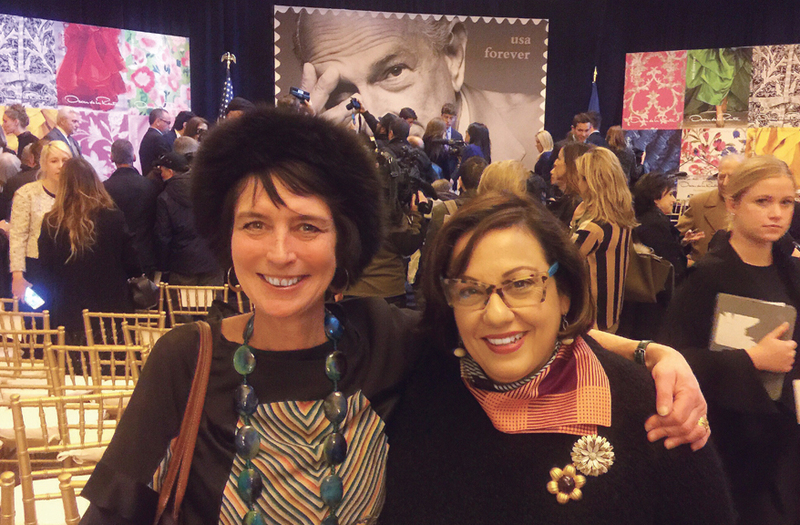 “I was so pleased my proposal to honor Oscar de la Renta on a US stamp was met with such enthusiasm," said Maruchi. “This is our first American fashion designer to be honored on a stamp, and being a Latina myself, it made me tremendously proud." “Oscar was proud to be an American and this would have made him tremendously happy. To commemorate his personal version of the American dream with these stamps is a great honor for which we thank the U.S. Postal Service,” Bolen said. 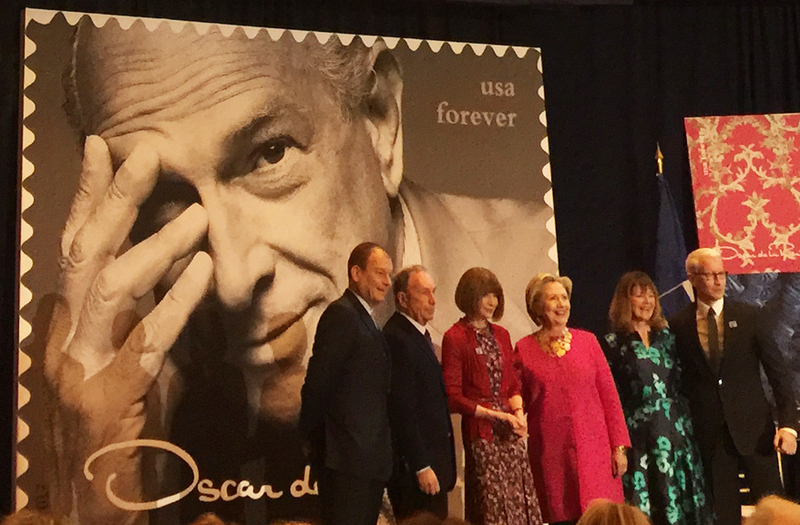 “The Postal Service is proud to honor Oscar de la Renta for his genius and pioneering leadership in the fashion industry,” said Janice Walker, vice president, Corporate Communications, U.S. Postal Service, who dedicated the stamp. Read more about the iconic designer and the Forever stamps here, and purchase the stamps at USPS.com.